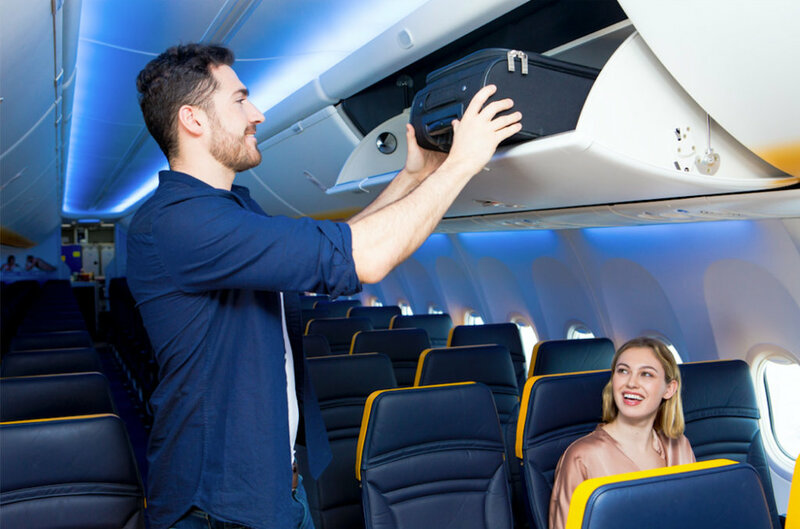 Ryanair today (18 Sept) revealed that more customers with a two-person booking are purchasing its new lower cost €8 x 10kg check bags instead of its 20kg bag (€25) for city breaks and winter getaways, where customers can save €9 per booking, by purchasing two 10kg check bags (€8) instead of one 20kg bag (€25). – Priority Boarding customers can continue to bring 2 free carry-on bags (1 x 10kg wheelie bag and 1 small bag). – If non-priority customers want to bring a 2nd bigger (wheelie) bag they can buy a lower cost 10kg check bag for €8 at time of booking (currently a 20kg bag costs €25). This 10kg wheelie bag must be checked in at the airport bag drop desk. “Ryanair customers are already making savings with our new lower cost €8 x 10kg check bag option, which is now available for all flights from 1st November. We have noticed more customers travelling on two-person bookings are availing of the new cheaper 10kg check bag (per person), enjoying even more savings.